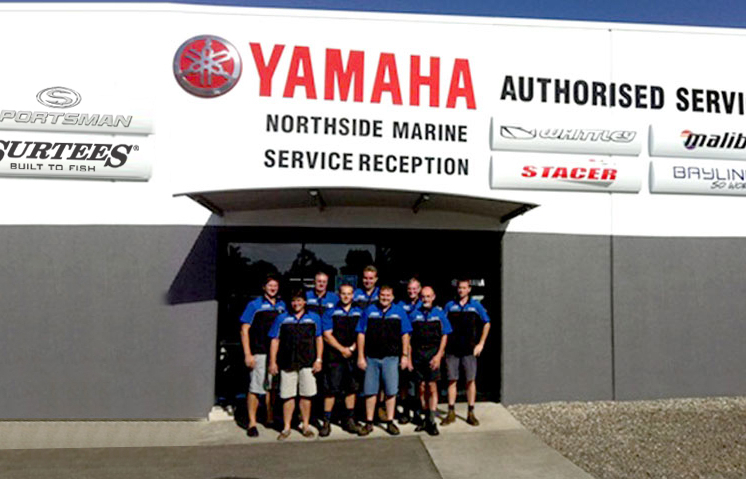 For standard check-ups of any brand of boat, trailer or motor on the market, to a customised fit-out, come on in to Northside Marine. With a huge spare parts division complete with electronics, the Northside Marine team can turn around the job in next to no time. The team can even do your trim work, detail your boat and refit upholstery to keep her in top shape. With a state of the art modern facility this team of dedicated employees service all makes and models. Specialising in one on one service, our master technicians will provide you with the best possible advice. Managed by Wayne Cross with over 37 years experience himself, and more than 5 staff with more than 20 years experience the technical knowledge at Northside Marine is second to none. You would expect nothing short of perfect when your boat is getting serviced. Serviced on site, serviced right. Sat: 8.30am-11.30am (Boat Sales/Boating Accessories until 4pm). For our Yamaha Outboard Servicing we only use Genuine Yamaha Parts & Accessories.